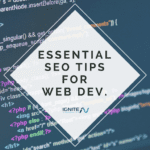 In this post we take a look at external SEO factors that are changing faster than we can grasp them. Everyone has their eye on guest blog posts right now, especially Google. Sure, if the guest blogs are quality and on a good website they are an excellent addition to your link portfolio. But if you are using a poor service for this it can be a very similar practice to buying blog post ads. Overall, guest blogging is working well at the moment, but it is on the watch list. Anything that points too many links at a website screams trouble. It tips the ranking scale and causes Google to react. In the past SEO experts would create valuable widgets and get them added on other sites. They would sneak a link in the widget which would improve their rankings. Today, these widgets are not as effective as they were. Although, when they are implemented in a very smart way (varying anchors, select distribution) they can still work. Blog networks are being taken down one by one. If you buy blog post links it will help you for some time. But soon Google will take that network down and your website with it. Think to yourself, are you in it for the long-term or a quick buck and then some serious disappointment. A global external link used to shoot a website to the top of the rankings. Now, that same link could eliminate you from ranking at all for a keyword. Global links are a red flag, especially if they are next to other global links pointing at other domains, have exact anchor text or are on an off topic websites. This is a common practice in print media and it is still common in online, however, if Google finds out your paid for those links you will be in the same situation as Interflora. Citations help local listings improve rankings and many people feel that they will help normal search listings soon as well. This is one to watch, but speculation does not mean it will happen 100%. While this is the case, I feel pretty confident this will be a factor to some degree one day outside of just local SEO. You cannot ignore social shares and mentions. They are an amazing indicator of relevance and quality of content. Google is already using this in the algorithm and will continue to do so. This is one to watch. If your Google + profile has serious klout and is attached to an article, it just might rank higher. Right now that is already happening inadvertently. Consider you see the same article by two people, but one is in 500 circles and the other is in 20,000 circles. Which one are you going to click on? That CTR helps rankings so the two work together. That being said, author klout will probably be a ranking factor on its own at some point. The better the author profile attached to the page, the higher it will rank. With the Google Merchant / Zebra update fast approaching, all merchants will be judged on the quality of their service. While we don’t know exactly how yet, we believe the main factors will be if they are a Trusted Store, if they follow the new Merchant Quality Guidelines and if they have positive reviews (positive reviews being the external factor). There has been a lot of talk about sharing specific areas of a page, instead of just the entire URL. There are a lot of ways this can be done. Personally I would break the page up into 10 parts from top to bottom. Someone could then right click, click an in-page share button or copy paste a section of the page. No matter what sharing method is selected a URL would be generated and placed at the end of the share. It would contain an anchor in it for the area of the page that is intended to be shared. Regarding the anchor, if you want to share part of the page that is half way down a parameter would be added at the end of the URL (#5). This type of share should be a factor and as these capabilities are developed it certainly will. Think about it, say you want to only share this point in this article. That should be a ranking factor and there should be an easy way to do it, right? Internet marketing is always changing. Make sure to keep your eye on these external factors so that you can stay at the top of the charts.